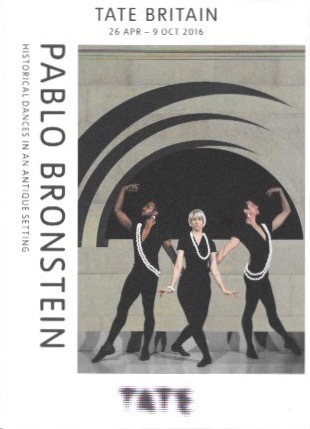 This year I have been fortunate enough to work with Artist Pablo Bronstein on his site-specific work at Tate Britain. I designed and created all the oversized pearl accessories for the dancers, ensuring the costume jewellery expressed Bronstein's vision. It was very important that the pieces worked in harmony with the costumes, set design and performance. It is a beautiful piece of art and performance, moving and mesmerising, serious and playful. Historical Dances in an Antique Setting is at Tate Britain until Sunday 9th October 2016. 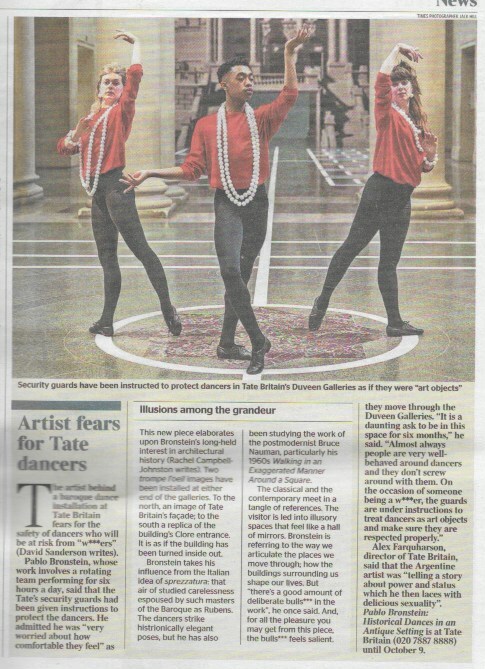 Living art: Pablo Bronstein’s trio of dancers take part in his Tate Britain installation Alex Lentati, taken from Evening Standard online review.